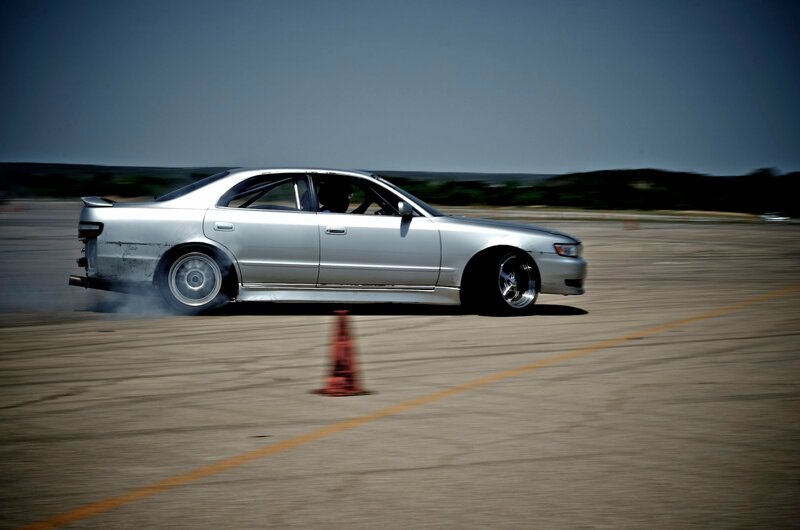 Rob went and did another drift event in Mineral Wells, TX this weekend. His Chaser has been in Fort Worth ever since we went a couple months back, because the truck that was being used to tow it down there broke, whoops! Photo by Aaron Losey, Mr. Fabricated Motorsports, thanks buddy! 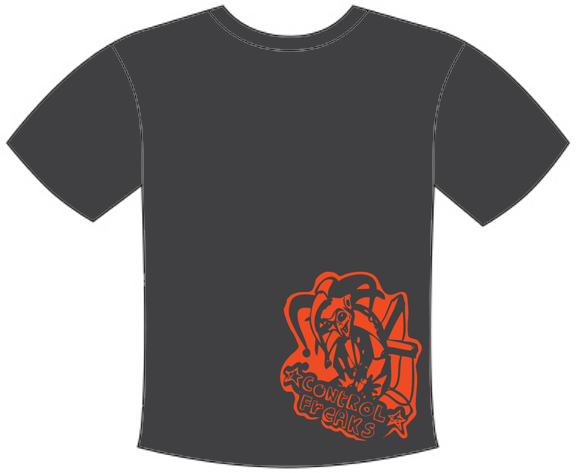 Here’s a look at the shirts we’re going to have made this year! Orders are closed, email me at clay.josh86@gmail.com to see if you can grab an extra one. MDU Rd. 1 was this weekend in Lousville, KY.. Wait, it was across the river from Louisville.. in… Indiana? 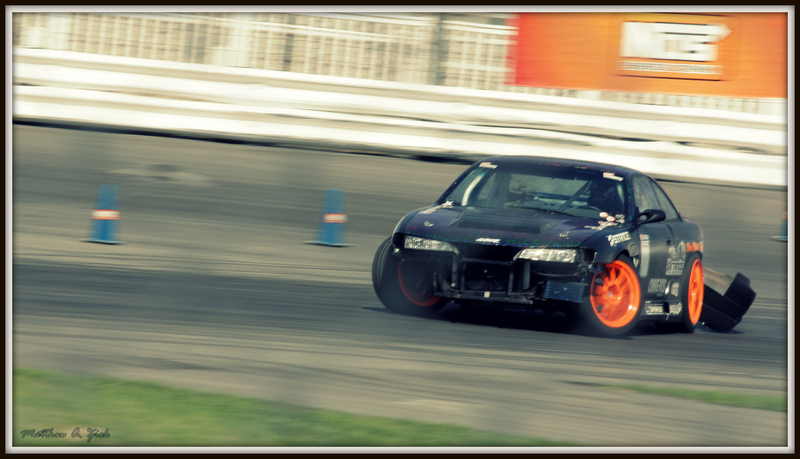 Hell I dunno, but I made it and killed some tires! 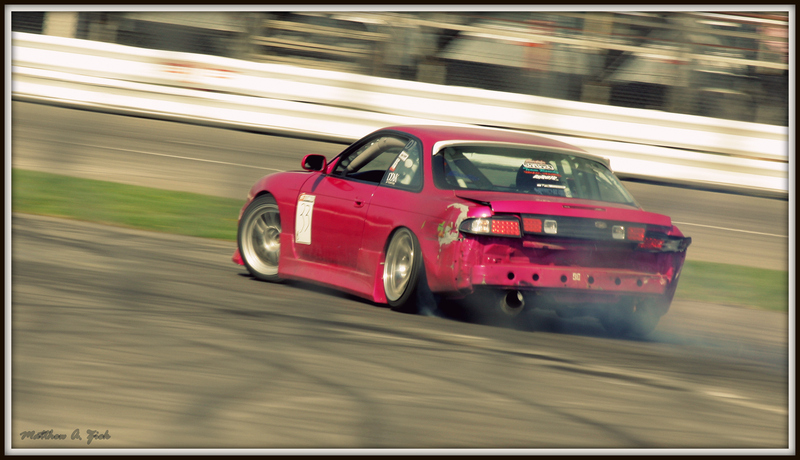 Matthew Zick was nice enough to come out and get some badass pics, so let’s check ’em out! FACT: I can’t have nice things! I ended up hitting the wall in practice, but the car drove fine, so I managed to qualify and get into the top 16, haha! 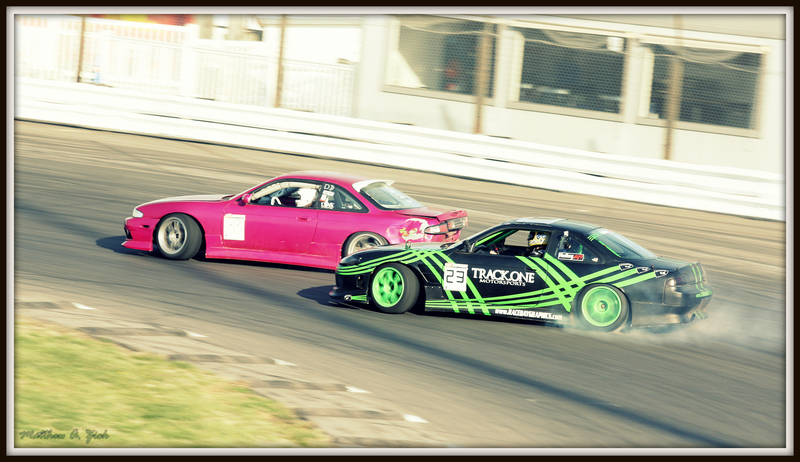 In my lead run, I got totally phased running against Nick in the Track One S14.5, so that brought a quick end to my competition. 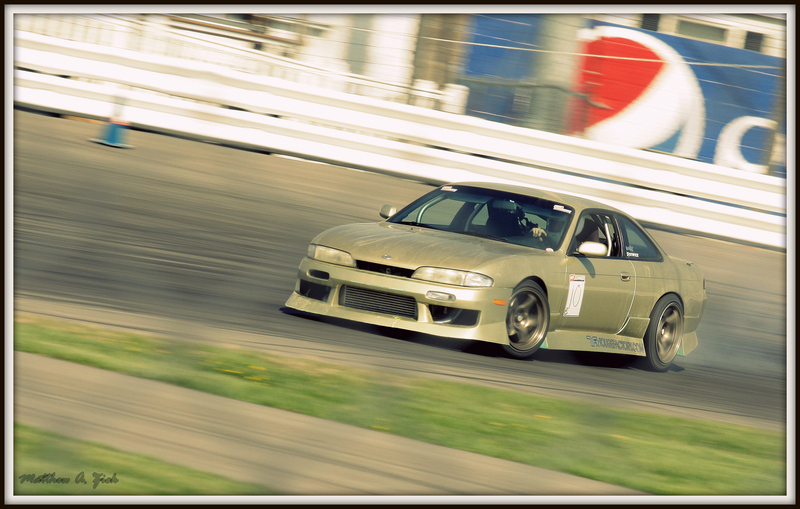 Jake, another zenki S14 dude drove down from Michigan! And Brian Peter came from Wisconsin! There were tons of drivers who drove really far for the event. Chris Gonzalez came from friggin’ Canada! I guess MDU is really blowing up! 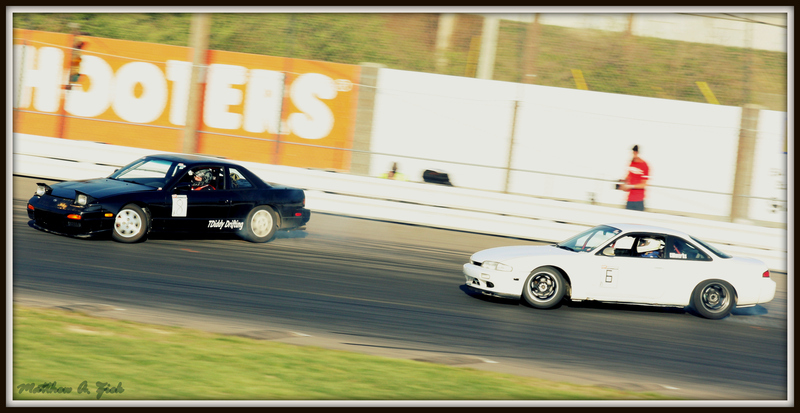 Tom, or T Diddy pictured here in the black coupe made it into the Top 8 on a stock KA! He’s such a consistent driver! 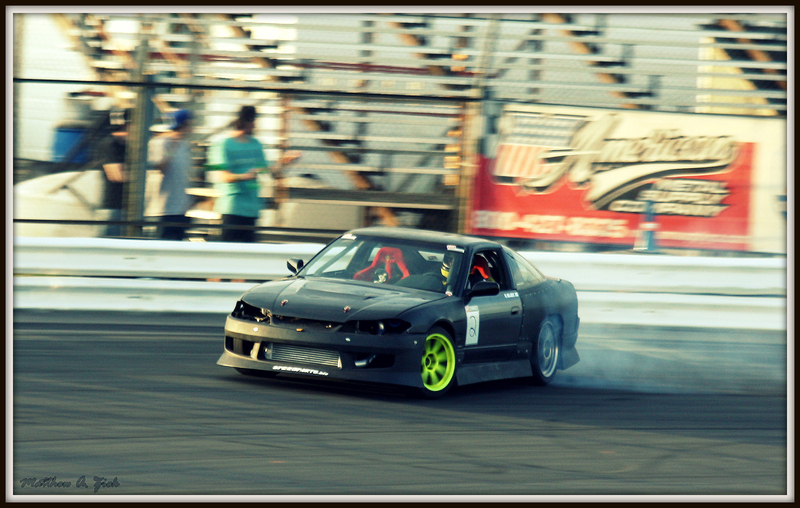 Magic Mike Pollard came out, and ended up running the competition in Chris Naujokas’s S13.5, Mike ended up getting 3rd. 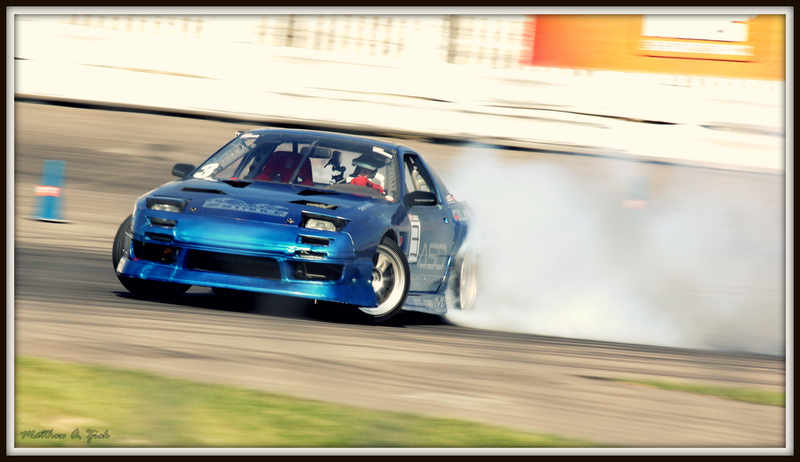 Derek was out in his blue FD RX7. 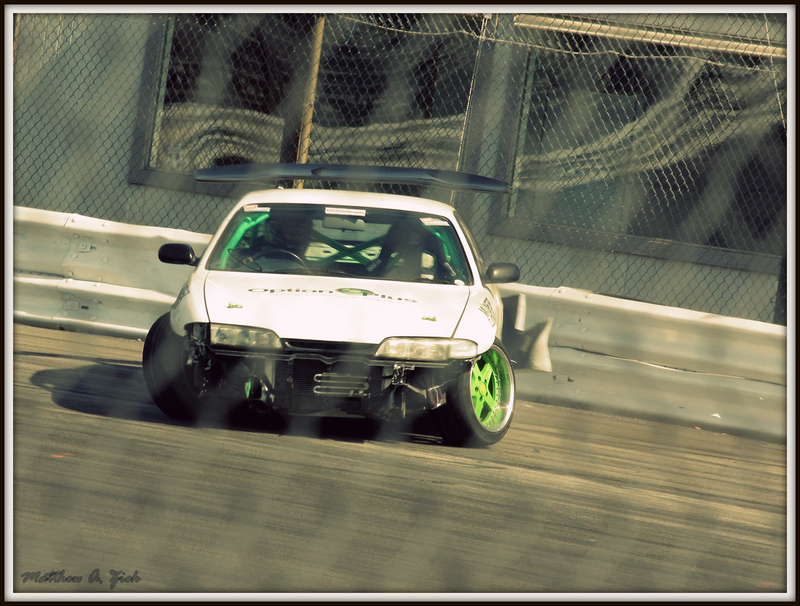 I could not get over how amazing this car looked and sounded! 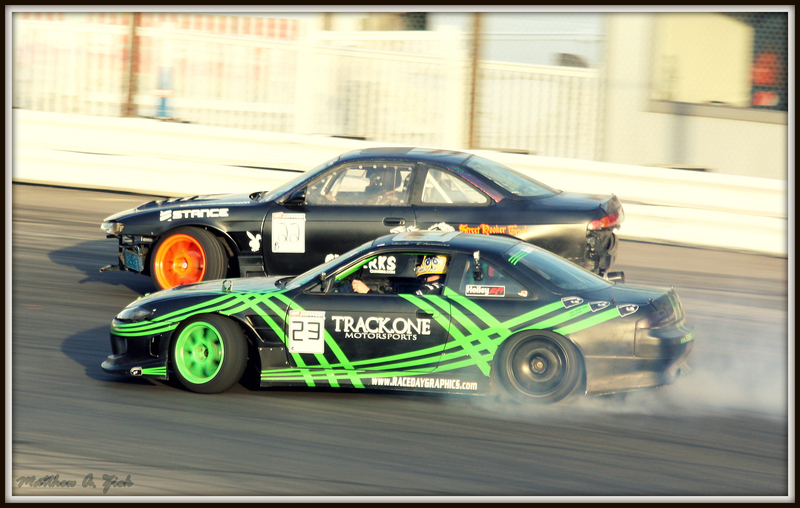 Kris Hackenson tapped the wall several times, he must have been busy putting that new body kit back on over and over, haha! It all paid off, though, as he took home 1st place! He and Nick went at it as if their lives depended on it! Congrats to Kris, can’t wait to see everybody again soon! Check out the rest of the pics from the day on Matt’s Flickr! Also, check out more coverage of MDU Rd. 1 on OMGDrift!